Prosecutors have charged “Suge” Knight with one count of Murder and one count of attempted Murder. Reportedly he drove his vehicle at and killed a business associate and nearly killed another man. All this took place in a parking lot in Compton, California. Authorities at first considered the act as a hit-and-run: it was and is re-filed as murder and attempted murder. The charges were filed against Knight, the owner of Death Row Records, a prominent rap artist promoter and producer. 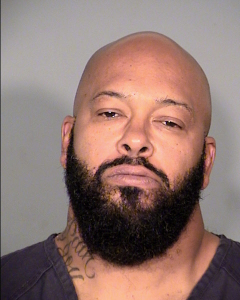 Marion “Suge” Knight was out on bail at that time on felony robbery charges in Los Angeles. Many of you know Suge Knight from his professional football career of twenty-five years ago. Since leaving professional football Mr. Knight (age 49) has been in and out of prison, shot six times last summer and has pending robbery charges. Authorities have released the name of the man who died as Terry Carter (age 55) and the injured man is reported to be Mr. Cle “Bone” Sloan (age 51). Details, which are not confirmed, are that after visiting the movie location (Straight Outta Compton), which is a film about the rise of N.W.A., a rap group, the men argued. Sheriff deputies who were there providing security, told Knight to leave. The men got together again in a nearby parking lot and the dispute resumed. Reportedly punches were exchanged through a window of his pickup truck. Then, as the unconfirmed reports continue, Knight drove his pickup truck at the men, killing one and injuring the other. Attorney Blatt disputes this report of the events. According to Blatt a group of people tried to kill Knight and were in the process of pulling him out of his pick-up truck when he regained control of his vehicle and ran over the two men while trying to escape the attack. The incident was originally handled by authorities as a hit and run case and Knight was issued bail of $2.05 million dollars. However, once his status as being out on bond for a robbery (involving a camera he took from a photographer who was taking photos of him last November in Los Angeles) was reviewed, and the charges re-filed as murder and attempted murder, authorities moved in court to have Knight remanded into custody without the opportunity to be released on bond. The reasons cited by the prosecutor’s office were his status as a convicted felon, the fact that the new charges arose while he was on bond for an unrelated felony charge, his ability to flee the jurisdiction and that he may try to tamper with evidence or witnesses in an effort to obstruct the government’s case against him. The Office of the United States Attorney for the Southern District of Florida opened a Grand Jury indictment on October 10, 2014 and made a new arrest in the Rothstein scam. A now “former” regional vice president of TD Bank, Mr. Frank Spinosa, age 53, was charged in Federal Court with wire fraud and conspiracy. Released on $250,000 bond with an electronic monitor, his attorney Samuel Rabin, negotiated terms of release for his client at the initial appearance hearing held before the US Federal Magistrate in Fort Lauderdale. Arraignment has been set for October 24, 2014. The investigation was known to Mr. Spinosa for several years, his attorney stated. The Grand Jury Indictment was unsealed on Friday morning, October 10, 2014, and comes within days of the deadline set by law for arrests in this ongoing case. The indictment of Mr. Spinosa contains charges that can result in a maximum penalty of well over twenty years in federal prison and fines of over $250,000.00. Because each of the five counts can resolve with a twenty year sentence, Mr. Spinosa is facing a possible one hundred years in prison. Scott Rothstein was sentenced to fifty years and is currently serving his sentence at an unknown federal detention facility. The charges against Mr. Spinosa allege that Spinosa committed fraud by giving a “false sense of security” to potential and actual investors. The indictment goes on to state that as a result of the alleged inducements, hundreds of millions of dollars were invested in Rothstein’s investment scam. 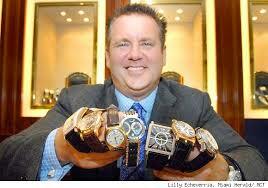 Spinosa was fired by TD Bank in October 2009 when the Rothstein scam first came to the attention of the public. The indictment alleges that Spinosa signed letters known in the financial sector as “lock letters.” Lock letters from banks are the bank’s assurance that money is being “locked” and held separate and apart from other funds for the limited and specific purpose of remission to the beneficiary of the “lock letter.” This assurance, fraudulently relied upon by investors, created the false belief that their invested funds were held separate and apart from other funds and was in effect guaranteed by the bank as segregated and safe. This “guarantee” assures investors that their money is never mixed with other monies and is safe from claims and transfers to others. Based on these “lock letters” investors sent funds to Rothstein, money which was neither “locked” nor segregated. These funds were allegedly diverted for Rothstein’s personal use and spent on such things as jewelry, watches, expensive cars, boats, houses, and lifestyle excesses of historic proportion. Rothstein has testified in deposition that Mr. Spinosa lied when he wrote “lock letters.” Rothstein testified further that Spinosa “looked the other way” when it came to suspicious and wrongful banking transfers. Further, that Spinosa acted with full awareness and knowledge both of the wrongfulness of his acts and their criminality. Rothstein testified in depositions, and prosecutors alleged, that Spinosa had “talking points” or scripts that he read to investors which were prepared by Rothstein and that Spinosa participated in conference calls in which investors were defrauded. 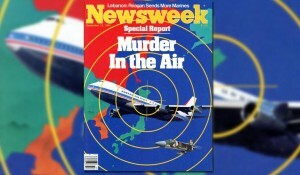 Libyan Arab Airlines Flight 114, a Boeing 727, was shot down on February 21, 1973 when it strayed over Israeli territory, refused to land, and was shot down. Korean Air Lines Flight 902, was shot down on April 20, 1978 by Soviet Su-15 fighters after entering Soviet airspace and it failed to respond to demands to land. Air Rhodesia Flight RH825, was shot down on September 3, 1978 by Zimbabwe People’s Revolutionary Army by using a Strela-2 missile. After it crashed, the fifty-six survivors were killed by the Revolutionary Army troops. Air Rhodesia Flight RH827, was shot down on February 12, 1979 by the AIPRA guerrilla army, again using a Strela 2 missile, the same as the previous shoot-down of September 3, 1978. Aerolinee Itavia Flight 870, was shot down by NATO jet fighters on June 27, 1980. This downing is disputed and there is some report that there was a bomb on board, however Italian Prime Minister Francesco Cossiga attributed the downing to French interceptors used in the Gadio “clandestine” operation. Korean Air Lines Flight 007, was shot down on September 1, 1983 by Soviet Su-15TM fighters west of the Soviet “secret” airbase at Sakhalin Island. Congressman Larry McDonald was on that flight and died. Polar 3, a research airplane, was shot down on February 24, 1985 by the Polisario Front, a guerrilla army operating in West Africa. Air Malawi 7Q-YMB, shot down on November 6, 1987 over Mozambique: a civil war was in progress there and the shoot-down is attributed to participants in the civil war. Iran Air Flight 655, was shot down on July 3, 1988 by U.S. guided missiles fired from the guided missile cruiser USS Vincennes. The U.S. later apologized and attributed it to a “mistake:” the US. said it thought the commercial airliner (an Airbus A300) was an Iranian F-14 giving false signals that it was a commercial flight. T&G Aviation DC-7, was shot down on December 8, 1988 over the western Sahara desert by the Polisario Front. The aircraft was a DC-7 used to spray insecticide as a public health goodwill gesture to control a locust outbreak. Transair Georgian Airliner shot down in September 1993 by missiles and gunfire from the former Soviet republic Georgia. In September 1993, three airliners belonging to Transair Georgia were shot down by missiles and gunfire in Sukhumi, Abkhazia, Georgia. Lionair Flight LN 602 was shot down in September 29, 1998 off the coast of Sri Lanka. Although unproven, it is widely believed to have been shot down by the Liberation Tiers of the Tamil Eelam rebel group operating in Sri Lanka. Siberia Airlines Flight 1812, shot down October 4, 2001 by Ukrainian missiles fired from the Crimea peninsula. The missile was mistakenly fired during a military exercise. The President of Ukraine, Leonid Kuchma expressed condolences but never confirmed responsibility. DHL freight aircraft, November 22, 2001, damaged by a mid-air missile strike managed to land with wing damage inflicted by a missile. It had just taken off from Bagdad, Iraq. Mogadishu TransAVIAexport Airlines Il-76, shot down March 23, 2007 over Somalia. The missile was reportedly fired by a Somalian private army during the battle for Mogadishu, a conflict by private warlords for Somalia. If Bitcoin is the Solution, What is the Problem? Like Gold, which goes up and down, BITCOINs go up and down. Most of us don’t trade Euros and Dollars but we can trade BITCOINS. Here how it works: My employer pays me my monthly salary by sending me a part of a BITCOIN to my computer: I in turn use a small part of the BITCOIN to make my car payment and my rent. The holder of my car loan got “paid” in a millisecond, so did my Landlord and now…. its off to the races because he, me, you, all of us are now BITCOIN owners and can negotiate the prices of everything we buy in BITCOIN pieces. I look on my computer and see that BITCOIN has gone “UP” so I can now keep more of my BITCOIN piece when I make my rent, car, food, and etc. payments. See the beauty? Feel the magic? We can now all increase our purchasing power by paying in BITCOIN. WHOA!!! What happens when BITCOIN goes down? Here is the beauty of this whole thing, we can wait, hold our BITCOIN and pay our bills with dollars, which don’t go up and down. Imagine if there was a finite amount of GOLD on the planet and all the world’s currencies were set back to a gold standard. That is what BITCOIN has done: it has set a floor on the number of BITCOINS in existence and set them out there for us to use instead of currencies. The major opponents of BITCOIN are bankers, governments, large currency based businesses (MasterCard, Visa, etc.). The major boosters of BITCOIN is everyone else on the planet, including this country lawyer in Fort Lauderdale who parks at the Broward County courthouse and pays $8.00 an hour to park his car…in dollars. Hey! Wanna pay for parking in BITCOIN? YEP!!! I have several “PAIN CLINIC” cases in my office, some in Florida Federal court and some in Florida State courts. Each time the prosecutor uses the words “pill mill” I’m on my feet. My doctor clients are physicians at a pain clinic, not a “pill mill”. Watch for words that make you look bad, like “the accused” (you are a defendant), and object. I do! Think out of the box and look for ‘dirty words’ and tell your criminal defense lawyer to object. In Florida State criminal courts here in Fort Lauderdale and Miami, attorney Ralph Behr (me) is famous for sending prosecutors to the woodshed for bashing my clients with “dirty words” like “evildoer” and “bad man” and “criminal”. A fair trial means the prosecutor, whether in Palm Beach criminal courts or a court near you.. cannot accuse and abuse a defendant by using words that contain conclusions: that’s for the jury to determine. After an innocent 17 year old boy was shot by accident by a neighborhood watch volunteer, his mother, Sybrina Fulton and Democratic lawmakers are asking for the repeal of the Stand your Ground law. The stand your ground law gives a person the right to justifiably use deadly force as long as there is a reasonable belief of an unlawful threat. In Beard v. U.S. (158 U.S. 550 (1895)), the Supreme Court ruled that a man who was on his property when he came under attack, did not provoke the assault, and had reasonable grounds to believe, that the other individual intended to take his life, or do him great bodily harm, did not have a duty to leave and was entitled to stand his ground. This basically means that if someone enters your home in the middle of the night and you have reasonable belief that this person has a gun and may take your life, you don’t have an obligation to leave your home, but you have the right to self defense and to use deadly force to protect yourself. The case of Trayvon Martin, the 17 year old boy shot and killed by George Zimmerman, has brought even more criticisms of the stand your ground law and whether it should continue to exist or not. George Zimmerman is being charged with second-degree murder. He is claiming self-defense and is now awaiting trial. They Didn’t Arrest Me! – Am I Free Of Charges? Sometimes a person can be charged with a crime and still be “on the loose”. This doesn’t mean, of course, that the charge was dismissed or that the person was set completely free of culpability and doesn’t have any further responsibility about what happened at that time. So what happens if you’re not taken into custody then? What happens is that in the counties of Broward, Miami-Dade and Palm Beach, not always will an officer arrest you. In some cases in South Florida, mostly in traffic offenses and misdemeanor cases, an officer will issue the person a citation. Even though it is not an arrest, a citation also needs to be taken seriously. A citation is a commitment that says you will show up in court at a certain date and time. When you sign a citation you are making a promise that you will appear in court. In exchange of that, you are allowed to remain in liberty. If you were issued a citation in South Florida, you need to contact an experienced criminal attorney who will guide you through the process. Call our offices to make an appointment for a free consultation. According to Florida Statutes, battery can be defined as one person intentionally touching another, causing bodily harm. This is often confused with assault. The difference is that sometimes assault doesn’t require the actual touching of another human being, but only verbal assault. In Ft Lauderdale, Miami, Palm Beach and other regions in South Florida, battery can be divided in armed battery, aggravated battery and felony battery. According to Florida rules, armed battery is when the perpetrator uses or carries a firearm at the time of the offense. Felony battery is when the perpetrator of the crime has the intention of causing great bodily harm, such as permanent disability. Aggravated battery, on the other hand, includes the intention of causing bodily harm but also the use of a deadly weapon while committing the crime. It is important to know that in Broward County, Palm Beach County and Miami-Dade County, a person that is being accused of battery and has already been convicted of a felony battery before, committed a felony of the third degree. Punishment for a felony of the third degree is up to five years in prison. If you or someone in your family has been accused of committing battery, aggravated battery or felony battery it is important for you to call an experienced defense attorney. If you have been convicted of a felony battery and are now being accused of another battery charge, call a South Florida criminal defense attorney for a free consultation. In South Florida, to be charged with a burglary offense, the State of Florida needs to prove three elements. First, the state needs to prove that the suspect entered a property that was legally owned by another individual. This means, for example, entering someone else’s home. The second element the State of Florida needs to prove is that the entering was what is referred to as “wrongful entering”. By wrongful entering, the state means that the person was not welcome in the property. The most important element is that prior to entering the dwellings of another human being, the individual accused of burglary had to had the intent to commit an offense. In Fort Lauderdale, Palm Beach, Miami, and other regions in South Florida, the most common cases involve the wrongfully entering of the dwellings of another individual with the intent to commit theft. It is important to know that the second element does not exist if you are invited to go into the property. If you enter a shop, or a social event, you are not wrongfully entering. In South Florida, the burglary statute also applies to the burglary of a conveyance, which includes motor vehicles. If you, or someone you know, is being accused of committing burglary in the counties of Palm Beach, Broward, or Miami-Dade, you should call our office for a free consultation. Can Someone, in South Florida, Commit Burglary Inside A Vehicle? Burglaries not only occur in someone’s home, but it can also occur in someone’s car, trailer or truck. For a person to be charged and convicted of a burglary crime in Fort Lauderdale, Miami or Palm Beach, the state has the burden of proving whether that person entered the property of another human being, with the intention to commit a criminal offense. That criminal offense can include, but is not limited to theft, murder and battery. When someone is accused of committing a burglary offense in a vehicle in South Florida, this is called burglary of a conveyance. The state then needs to prove that the perpetrator entered another person’s vehicle to commit a crime. In Ft Lauderdale, Miami, Palm Beach and other areas in Florida, it usually happens that in this case, the burglar reaches through a car window to strike the victim. The most important element of the crime, that the state must prove to convict a person of burglary, is the intent he or she had when entering the dwellings of another. The state must prove the person, before entering the property, had the intent to commit a criminal act. If you think you are being unfairly accused of burglary and that you didn’t have intent to commit a crime when you entered someone’s property, you must call a defense attorney. Call a South Florida defense attorney for a free consultation.